Home Uncategorized Serviced Office And Its Role In Business Growth. Serviced Office And Its Role In Business Growth. 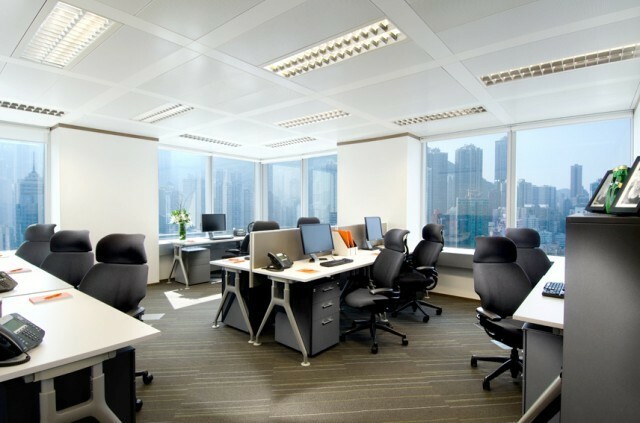 For most companies renting office space is a huge expense. The standard contract for an office space will have you bound to 3-5 years. Moreover, you’ll also have the expense of furnishing the office and buying expensive equipment to suit the requirements of your employees. However, if you can’t afford this, you’ve always got another option – a fully serviced office. Here are just a few key benefits of a serviced office that we at the Ascendris Business Centre believe could benefit you. Serviced offices are often overlooked purely because their monthly rental fees are higher; however, you must always look at the grand scheme of things before passing judgement. A serviced office is essentially a pay-as-you-use space, and they usually have plenty of benefits that make them a more than worthy investment. Nowadays, the majority of businesses typically look for short-term lease agreements which only bind them for a few months. This arrangement is usually difficult to find but office space at The Ascendris Business Centre can be rented for short-terms as well as long-terms. With a serviced office space you’ll only ever pay for what you need. In addition to the physical space, services and facilities such as copiers, meeting rooms and even staff are available as and when you need them. For example, if you have a meeting with an important client and need to hire a conference room, you can hire one on a per-hour basis. Provided that your business is doing well, you might think of attempting to reach new heights by expanding. If you’d like to try it out for a short time to see how things play out, renting out a serviced office can help you do this easily once you’ve hired your new employees. When you move to new premises the downtime can significantly hinder the flow of business. Services offices are already set up and ready-to-use. Everything from communications systems to office equipment will be operational from the second you step in the door, meaning you won’t suffer any downtime waiting for phone and Internet companies to install new lines or set up new gear. Hiring trained staff and purchasing equipment will require a substantial amount of money. You’ll not only have to pay extra wages, but you’ll also have to fork out money on equipment too. However, when you opt to rent out serviced office space from The Ascendris Business Centre, we will take care of all of it for you. Maintenance comes as standard. Whether the coffee machine has stopped working, office chairs have broken or the office simply just needs a good cleaning, at some point you’ll eventually need to fork out money to maintain the office under regular rental agreements. Yet, our fully serviced offices at The Ascendris Business Centre are different. We maintain and clean the office for you instead. So, in essence there will be no need to pay for anything that needs replacing or the hiring of cleaners. If you’re thinking about renting a fully serviced office, The Ascendris Business Centre offers reasonable rental agreements with exceptional services. Why Getting a Brand Identity in UAE Should be Your Priority?